Is anyone else ever appalled by the distinct lack of financial literacy in America? It seems like most financially-minded people I speak with are, yet the general population remains in the dark on a lot of issues. It pains me to see people struggling to get the basic tenants of personal finance down. I know getting started is much easier said than done, but if you go through life paying no mind to your financial situation, you’re going to end up in a hole. What’s worse is that some people seem to believe they can’t manage their finances themselves. At a basic level, that’s simply not true. Anyone can learn how to budget, how to track their spending, how to create a plan to pay off debt and how to save for what matters most in life. None of it is rocket science (and I say this as someone who hates math). The amazing thing is we have access to a plethora of amazing free personal financial resources. If you’re just getting started with basic financial planning, you can do it yourself. You don’t necessarily need to pay a professional (especially if you’re a “broke” college graduate or are in debt). Want to demystify money management? 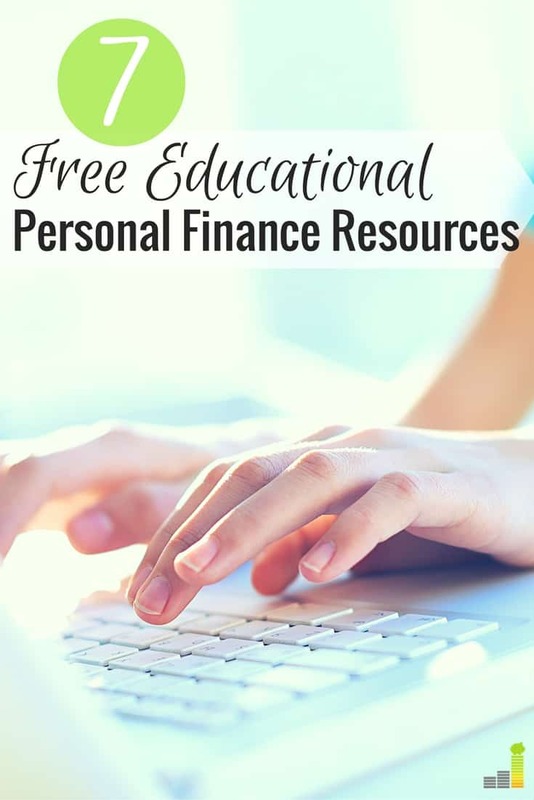 Take a look at this list of free educational personal finance resources and dig in! Where would we be without personal finance blogs? I’m serious. You can ask me what my favorite personal finance book is, but I probably won’t have an answer for you. Why? I don’t read many of them. I’ve learned so much just from reading personal finance blogs, authored by real people with real struggles. Reading them also inspired me to start my own blog. Exploring my financial journey led me to take a closer look at my financial situation because it was out in the public for all to see. There’s no better education than running your own money experiments trying to figure out what works best for you. I find that blogs are more relateable than books. 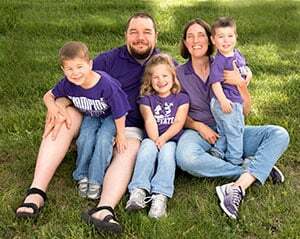 They give you hope, tips, ideas, and inspiration, and the community provides a source of encouragement and support. If I had to pick one resource that’s made a huge difference for my finances, it would be personal finance blogs. Okay, I know I just finished saying I don’t read many personal finance books, but they do have their place, I won’t contest that (and I love reading). There are many classics out there, and each author has a different approach. There are so many books and niches to choose from, and for that reason, I wouldn’t recommend reading one and saying you’re done. As each “financial guru” has their own method of managing money, what works for them might not work for you. I’m a big fan of mixing a bunch of different approaches together because there’s no one right way to do it. You can learn a lot by taking the lessons and ideas from each expert and creating a plan that works for you. There are also a bunch of ebooks out there by various authors and bloggers (many are free) which give you simple tips for getting started. A few bloggers have even had their own books published! Just check your library to see what it has to offer. If you’re not a fan of reading or find videos more engaging, there are a number of personal finance YouTubers out there, as well as videos created by sites like BankRate and Yahoo! Finance. Best of all, there are even a few personal finance 101 courses being published on sites like Khan Academy and Udemy. A quick search of “personal finance courses” brings up a decent amount of results, too. Videos are a quick and easy way to get introduced to money management basics in bite-sized chunks. 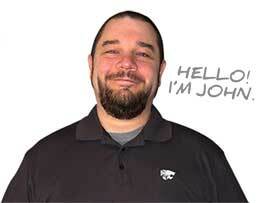 Don’t really feel like trying to create a customized spreadsheet for your budget? Not to worry, there are tons of free budget templates out there available for download. There are even templates and formulas for investing and paying off your debt. If finding the time to manage your money is what’s stopping you, downloading a free template (or tool) may help you the most. You don’t have to take a pen and paper (or spreadsheet) approach to your finances, either. There are free tools (websites, platforms, and apps) that can help you manage your money. Mint and Personal Capital are just a few of the most popular. Whether you need to track your spending, set spending limits, create a budget, pay off debt, or start investing these tools have you covered. There are plenty more apps out there if you search on your phone, too. If you ever get tired of reading or need a more convenient way to digest financial information, I highly recommend listening to personal finance podcasts. There’s no shortage of them out there, and actually hearing people talk gives off a different type of energy, which you might find more motivating. If you haven’t been inspired by personal finance blogs or websites, give podcasts (or audio books) a try. Especially ones with multiple guests, as you’ll be receiving more than just one person’s opinion on things. This one might sound a little weird at first, but if you want to cut down the time you spend finding personal finance resources, you can use social media to curate them. Pinterest has been a game-changer for many personal finance blogs, and there are a ton of group boards out there where bloggers share their best posts. Likewise, if you simply search personal finance keywords on Twitter, you’ll get a number of results. My favorite “social media” tool is Feedly, as it aggregates the news feeds of your favorite sites. If you find websites and blogs you want to follow, you can easily add their feeds to Feedly and get updated with recent posts whenever they’re published. It’s pretty handy! At the end of the day, there’s simply no excuse for not learning how to manage your money. Financial Planners are great to use, but you should have a basic handle on your situation before you need their services. Having personal finance knowledge can empower you to take control of your situation all by yourself, and you’ll be better equipped to handle anything that comes up in the future. 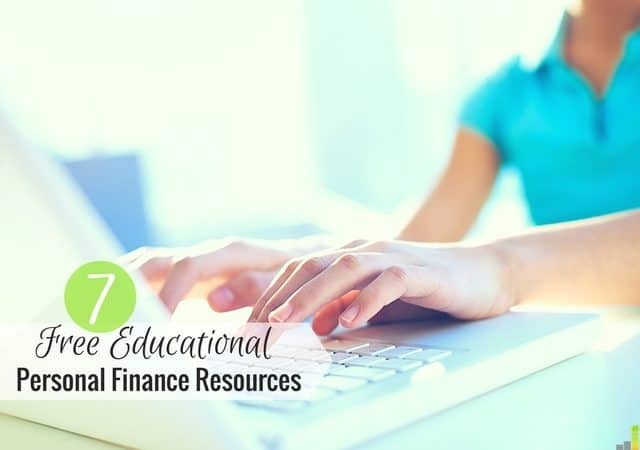 What are your favorite personal finance education resources? Which ones did you use to learn about money? Do you think people should seek to learn more about personal finance before handing the reins to a Financial Planner? In my case a handful of blogs and books are the best sources. I don’t like listening to podcasts or watch videos, I can easily ‘scan’ a good article / book and get my information. The good thing is there are many resources for us to use, so no excuse not to get a better education. So true! I’m a bigger fan of reading than I am listening/watching, too. Blogs have been an amazing part of my journey already. That’s awesome! I love that more classes are becoming available, since they should really be taught in school! I think people get intimidated and shut down before they begin which is obviously very unfortunate. If we addressed financial education earlier, that probably wouldn’t happen. Kids don’t get intimidated by things they don’t know. Exactly. It’s extremely unfortunate. Most people I meet are either afraid or just too bored by the concept of personal finance to bother. I always try and change their perspective on it, but it’s hard when they’ve lived with it for so long. My most favorites are blogs and books, particularly blogs because they are more based on experiences and concepts are applied in real-life settings. Additionally, I am nowadays inclined to listening to podcasts, it’s like listening to radio talk shows. That’s exactly why I like blogs, Jayson! They’re much easier to relate to. Podcasts are a great way to get some education in on the go, too.